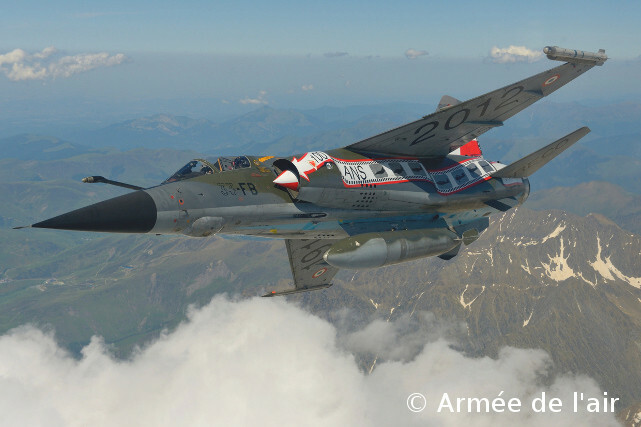 The French Air Force 2/33 « Savoie » Reconnaissance Squadron celebrated its centenary on June 22, 2012. The centennial was presided over by General de Rousiers, a former 2/33 pilot in the 1980s, who is now the permanent Chairman of the European Union Military Committee (CEUMC). This ceremony was held at BA 118 FAF Station in Mont de Marsan, in the southwest of France. It was more particularly dedicated to its oldest flight (escadrille in French) – SAL 6, which means Salmson aircraft, and 6 as the sixth flight created in the French Army Aviation. This creation occurred in December 1912, but traces of its previous existence might be found as early as September 1912, and maybe earlier. I will keep you posted if necessary. 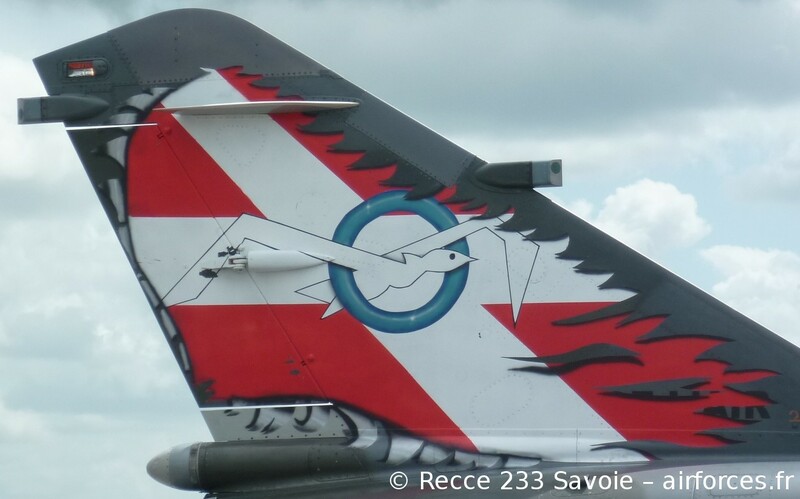 The centennial had begun earlier on Friday 22nd of June in the morning with the presentation of the Rhine Gull insignia to the new SAL 6 Flight members. Some of the senior members invited – all veterans – could see that their traditions were kept up at a high level as the candidates had to go through various « ordeals » to deserve their brand new badges. 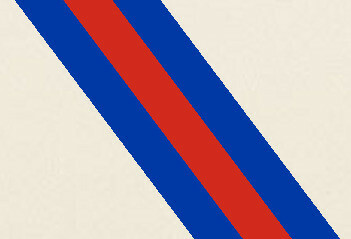 It is assumed that the origins of the SAL 6 flight emblem date back to 1920. SAL 6 was disbanded for almost a year in Germany from April 10, 1919. 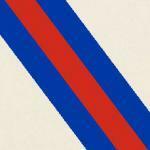 The flight was created anew in Germany into the 16th flight of the 33rd Aerial Observation Regiment (33eme RAO). 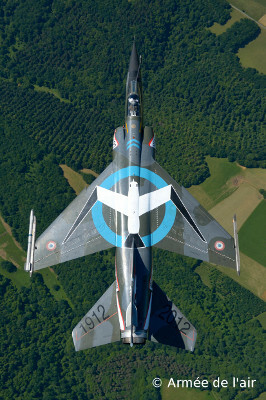 That new flight would have kept the SAL 6, C 6, and D6 traditions since the calling SAL 6 remained along with 16th flight (16ème escadrille) for that decade. However, it would have had a new batch of pilots, mechanics, and aircraft. Among those aircraft, there would have been a SAL 70 flight aircraft – a Salmson 2A2 – on which the SAL 70 emblem was painted. It was a white gull with a blue disk on its background. There were many Rhine gulls flying around where SAL 6 stationed from 1920 until 1930 (Gossenheim; Krefeld; and Bochum), and blue was the color of reconnaissance. As SAL 6 had to remain in the Rhineland area, and its main mission consisted in performing reconnaissance missions, that SAL 70 Salmson aircraft turned out to be a timely addition. It was therefore decided to take the SAL 70 symbol to be slightly changed into a Rhine gull surrounded by a blue circle. Mirage F1CR above clouds – ER 02/033 « Savoie », SAL 6 « Mouette du Rhin » – « 100 ans de Reco » ! General Charles de Gaule, who was in exile in the United Kingdom, named Colonel Valin as Commander-in-Chief of the Free French Air Force (FAFL – Forces Aériennes Françaises Libres) during the Second World War. 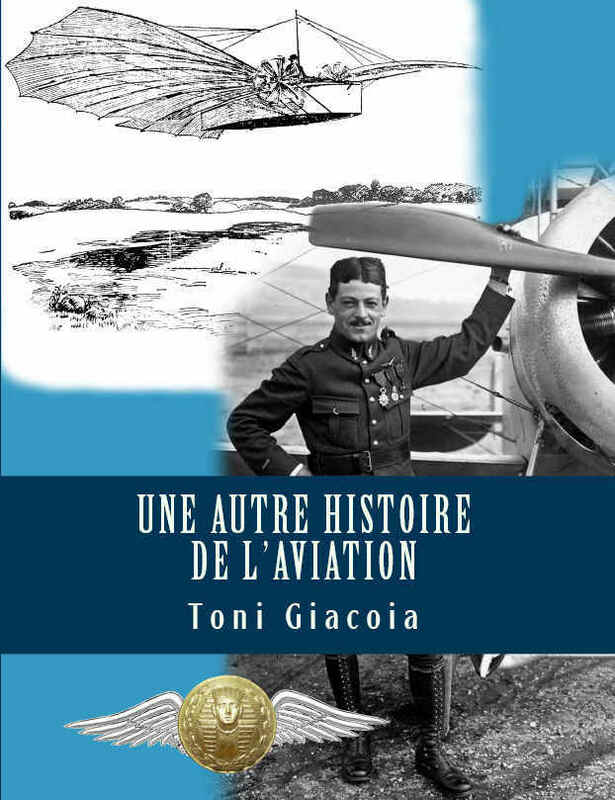 The aviator made a decision of giving its squadrons a French region name for each of them in order to address a strong message to the Vichy regime which collaborated with Hitler, and the Axis powers. 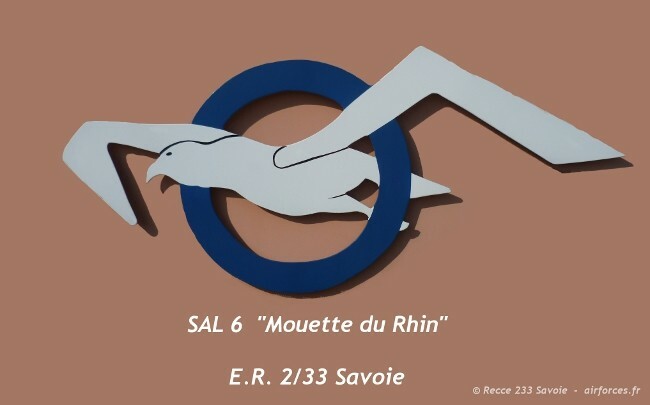 As a consequence, the Reconnaissance Group GR 2/33 was named Savoie on the 3rd of November 1943, and it has kept this name so far. This is why you can see the Savoy’s flag on various SAL 6 aircraft. ER 2/33 was stationed near Strasbourg between 1960 and 1994. This is why the Savoy’s red flag covered with the white Saint John’s Cross (Croix de St Jean) was painted on a huge concrete slab, on a patch of lawn, in the middle of the squadron area, close to the 2/33 photo hangar at Strasbourg-Entzheim FAF Station. This is why this flag has been billowing above the new squadron facilities since early 2012. 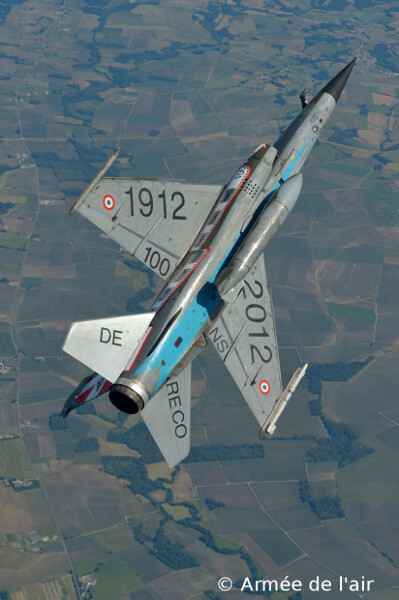 This is also why an official twinning was organized between this squadron, and the General Council of Savoie. As I started to look up through various sources on squadrons & flights history, it turned out that SAL 6 Rhine Gull Flight is a very old unit. Probably one of the oldest in the world. It has been very difficult to sort out these units in such a ranking as historians are still working on the military aviation history. It is hard to consider whether the administrative or material creation is taken into acount in some cases. For some flights or squadrons, you can find the administrative creation date only but you still find traces of pilots and aircraft’s existence of these very flights and squadrons after and even BEFORE the administrative creation! Some other dates correspond to the day when units became operational. Moreover, mistakes have been pointed out in some books and website sources. It has become – since the beginning of this chart – that such charts should be updated. Last but not least, the Russian military aviation organization doesn’t match the western patterns, and coould not be inserted in these charts. That is to say that these charts cannot be exactly right… Sorry!